It is because such a loan will cover all the material and labor costs, as well as can be used to buy the land. In our earlier discussion, we talked about what a construction loan is, different types of construction loan, how to qualify for it, etc. Now we are going to discuss how to choose the best construction loan. But before that, you should know where to search for a construction loan. You can discuss with a mortgage broker and get help on your construction loan. Usually, they have a wide range of financing options for you. You should look for NMLS (Nationwide Mortgage Licensing System) experts in your locality before choosing the best construction loan. These brokers may offer you few unique services and options that are beneficial for your construction project. Credit union is one of the most popular options for construction loans where a borrower can apply. A credit union is run by its members and gives you the lowest fees and lowest interest rate in the lending industry. Look for a credit union in your area. They are truly flexible and helpful to the customers. Credit unions are trustworthy and do not sell your loan to another party. Credit unions have strict criteria for new customers who want to join them. But presently, they have amended their rules and regulations to help their customers better. You may try your luck with FDIC (The Federal Deposit Insurance Corporation) affiliated financial banks for a construction loan. The fees structure and interest rates are quite high. Lending rules are also quite rigid and provide poor customer service through the entire process. This should be your last option to get a construction loan, as they can sell your loan to a third party at any point in time. Now let’s get back to our main discussion. You should look out for the lenders who deal with construction loan. Interest rates can be different from one lender to another. Each lender decides the rates based on their business priorities and economic situations. Few lenders offer bigger and attractive benefits to get more customers into their loan program. Similarly, other lenders may offer lower benefits without compromising their business policies. So, it is up to you to make the final call. You should check several lenders and verify their offers. Choose the best construction loan rate that is suitable for your project. You can also contact a loan broker to get help on this situation. They have contacts with a number of lenders. The loan broker will shop for the best rates on behalf of you. Most of the time, the loan broker is paid at the loan closing time. As the broker is getting his cut when the loan is secured, he will look for the most attractive rates for you to get a good incentive. Checking the lenders' reputation is a must for every borrower. You need to search and find the best one for your project. Select some lenders who specialize in construction loans. Search online reviews and local listings to know how they are doing business with the existing customers. If you find few positive reviews saying that a certain lender is good, that is enough to count that lender in. On the other hand, you should also consider how the lender treats their existing customers. Normally, those lenders have good reputation who serves their customers well. So, check as many reviews and customer testimonials as possible. Remember, your entire construction project will be at stake if you choose a bad lender. So, always choose an easy-going, flexible, and reputed lender for your construction loan. Searching the best deal is the most important criterion for your loan. Choose the lowest interest rate and the lowest closing costs from the offers given by the lenders or loan broker. The more you can save from the interest, the less you have to pay them later. After choosing the best construction loan deal, it will be wise to pre-qualify for the loan. The lender may ask you to present a personal financial statement. You must explain your construction project clearly and notify your need in detail. The statement should be provided in a written document. Remember, do not overestimate your construction costs and do not apply for more than what you actually need. You also need to provide a suitable repayment plan for your construction loan. After getting approved for the construction loan, you need to lock-in your interest rate or you may depend on the floating market rate. Rate locking may require a fee, but it’ll save you from future rate hikes. If you wish to float with the market rate, you may have to pay higher rates later. You should research on the current financial trends and get an idea about whether or not to lock in. You may choose your loan option with two closings - one for the initial construction loan, and second for the permanent loan. Loans with two closings may cost you more; it is better if you can avoid it. 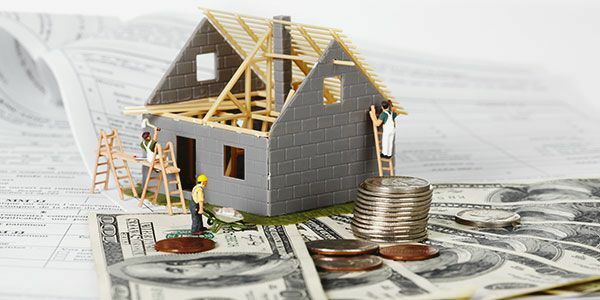 It is quite tough to determine how to choose the best construction loan for your home project. Different borrowers have their unique requirements, choices, and financial situations. So, it is possible that a typical construction loan might not be suitable for two different borrowers. But still, all borrowers must get their credit in order and gather all required financial documents before searching for the best construction loan.